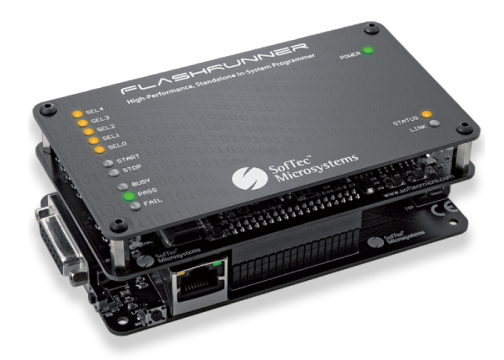 Our universal in-system programmers from the FlashRunner family provide a vast array of possibilities for in-system programming of Flashed-based microcontrollers and serial memories. Depending upon the FlashRunner model, you can program devices of different manufacturers or devices of one manufacturer. With the FlashRunner family of products SMH Technologies has been offering leading in-system programming solutions for years.